McKenzie Towne School Parent Association: Holiday Events at McKenzie Towne School! 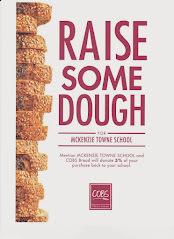 Holiday Events at McKenzie Towne School! Please review the November newsletter to see when your child may be participating in a variety of exciting holiday performances and activities at McKenzie Towne School!! Important Dates and Upcoming Events!!! !